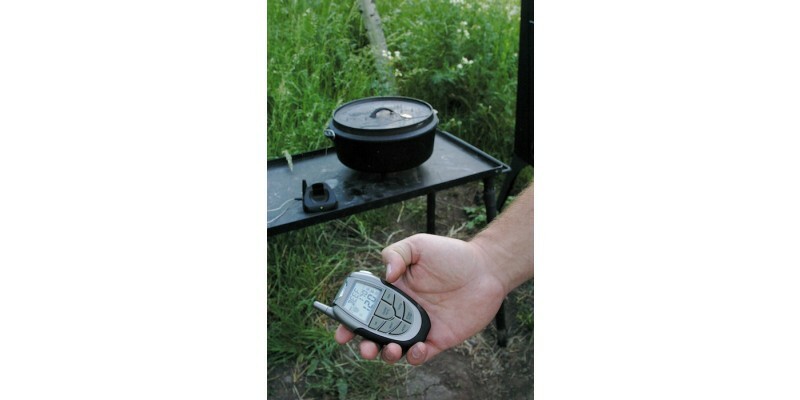 Take the guesswork out of outdoor cooking with Camp Chef's Wireless Thermometer. Measure temperatures up to 100 feet away. 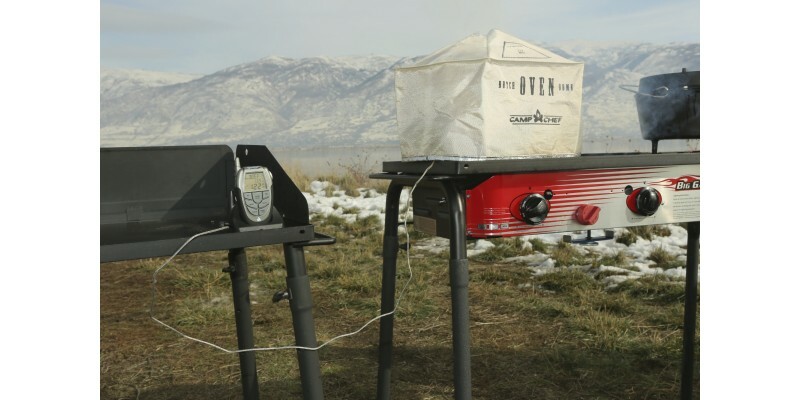 Do you have a hard time measuring temperatures for your Dutch oven or smokers? 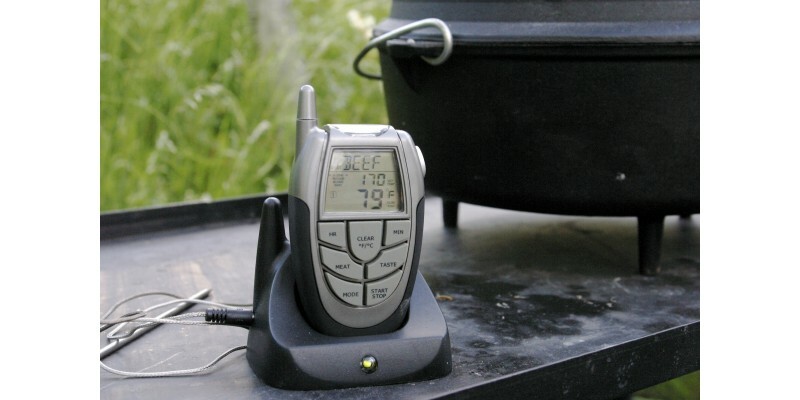 The Camp Chef Wireless Thermometer takes the guess work out of cooking meat by letting you check your temperatures from up to 100 feet away. Go ahead and watch the game while you smoke your meats with precision. Play cards in your camper while you cook a tasty cobbler in your Dutch oven. 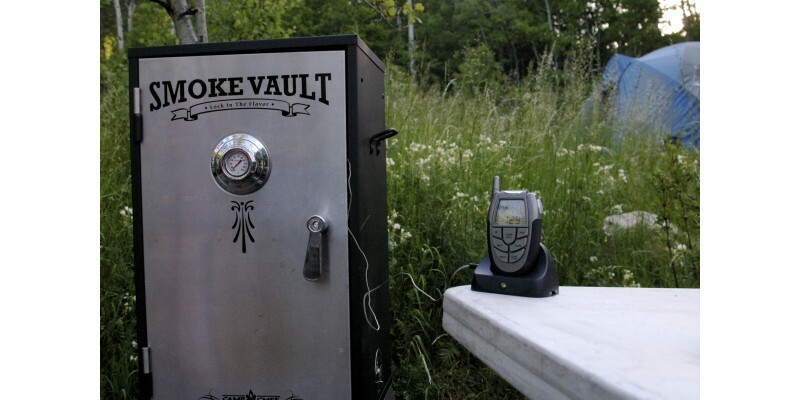 The stainless steel probe placed inside the smoker or Dutch oven will detect the temperature, the receiver will alert you when the desired settings have been reached. This device also offers suggested temperatures for 6 different meats, plus the option to create your own custom settings. 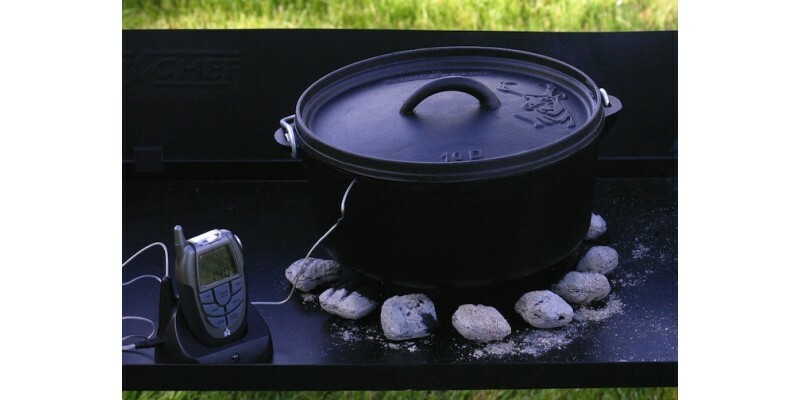 Outdoor cooking is a piece of cake (or cobbler) with Camp Chef’s Wireless Thermometer. Wireless Thermometer is rated 3.7 out of 5 by 3. Rated 5 out of 5 by Steph the Greek from serious smokers must have I purchased this wireless thermometer for my husband as a stocking stuffer to go with a 30" Masterbuilt Smokehouse. He was over the moon! To have a thermometer that takes the guess work out of smoking was a homerun...bigtime. Now he doesn't have to worry about changing the internal temperature of the smokehouse to check on the temp of the meat. The smokehouse stays closed, we stay nice and warm inside, and we'll never deal with shoe leather dinners. It's about as simple as it gets to use too! See the probe....stick it in the meat. Set the handset to what your cooking, how much it weighs and how you want it done (med rare, well, etc). That's it. It beeps when your meat is at the correct temp. No muss, no fuss, no rocket science degree required. Rated 5 out of 5 by Anonymous from Works great for the price! 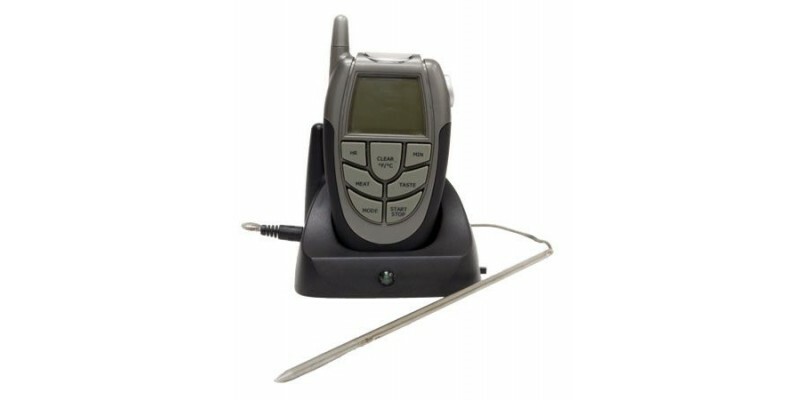 This is a no frills remote thermometer that accurately reports the internal temp of whatever cut of meat that you wish to cook. I have used this model for about a year on countless cooks and I can say that it was one of the best investments I've ever made as it performs it's task well and came at a good price. I have even used it to accurately measure the temperature of my pit smoker since the dial thermometers that are usually found on them are notoriously inaccurate. For truely great BBQ it is imperative that the proper temperature is maintained first in the pit and then the proper internal temp is reached in the meat itself and this simple tool really helps to meet those goals. There are other more expensive units out there but this one does the trick and won't kill you at the cash register! Rated 1 out of 5 by Bubba from Doesn't work Bought this product several months ago and used it for the first time yesterday. It started out reading correctly but 2 hours later it read 430 degrees, this was in a electric smoker running 240 degrees. Very disappointed in this product.